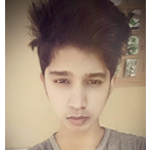 My name is Sahad, Owner of this site. and have passion to share my idea and creativity with this blog and provide tricks, tips for visitors. 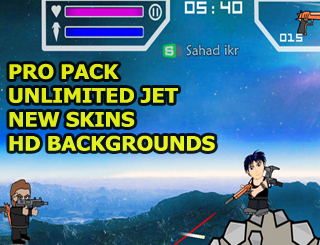 Sahad wheres the mini god mode.....?? 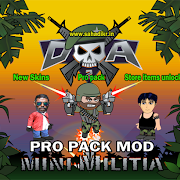 Awesome bro for mini militia hack! can you release 2X health + ammo + Jetpack version??? I am glad that you liked the work! Thanks for supporting us. does it work on online wars? bro can you create the mod without the background mod please? Hey, what if i want to switch off the GOD mode temporarily, how to do that? Plz update this and also add pro pack and sucide option. I would be looking forward on this. he y bro can u help me to hack CoC?? In Dental Implant there are number of teeth will outnumber the anchor points with the teeth that are directly over the implants referred to as abutments and those between abutments. is it work on computer????? please change background and song please !!!!!!!! Is there any mod with limited health and one shot kill?????? 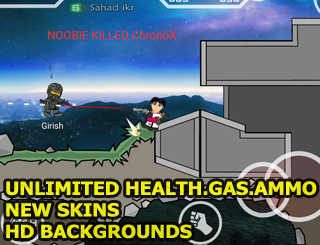 Any mod apk with limited health and one shot kill? Bro why this doesn't show percentage? Hey, i like the work you've done. The mod works fine but it would be better if you removed unlimited health or instead of unlimited health may be we have double health or something. When w are not killed they get to know we are using the hack version. Even the skill level goes to 99 which shouldn't be happening. Can you hack Frontline Commando D-day game? It is the little changes which will make the biggest changes. Thanks a lot for sharing! These kinds of post is indeed valuable plus would make quite a wonderful artwork throughout the subject within just our mental faculties. Oahu will be the first-time When i look at your web site, nevertheless When i have been genuinely satisfied. Preserve publishing when i experience planning to go to take a look at that many morning. Good job bro, but we should get killed once in a while otherwise our friends will identify that we can't get killed. Make it like, once the ammo is finished. We can be killed. Brother..from where we have to download it..? I'm using 2.2.58 pro pack version but few days before when i reinstall this app. I'm facing problem with my SECONDARY WEAPON..
actually ITS NOT WORKING AT THE SAME TIME.. please help me out. Copyright © 2016-2017. Sahad ikr's tricks All Rights Reserved.